Identify pressure at a rate of 5:1 with any hydraulic intensifier for sale in our broad selection available here at SGS Engineering. Find a single or double-acting pressure intensifier along with jacks, crimpers, spreaders and other replacement parts and accessories to ensure all these tools run smoothly and efficiently. Whether you need a new hydraulic booster or just a replacement intensifier pump, all the options available here online are suitable for a number of different applications. Every hydraulic pressure intensifier we have for sale here at SGS Engineering has been manufactured by some of the finest in the industry. This means that each high pressure intensifier and hydraulic intensifier pump provides a reliable option for all manner of purposes. Utilities, railroads, construction, riggers and many more applications are ideal for any hydraulic booster pump and hydraulic pressure multiplier available in our selection. 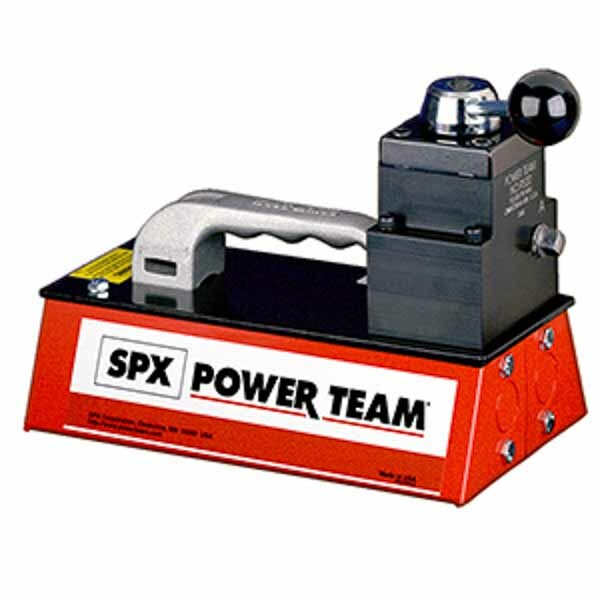 Find a high pressure intensifier and hydraulic booster pump manufactured by SPX Power Team in our online listings. One of the industry’s leading manufacturers, they are so confident in the quality of their tools that each one comes with a Lifetime Marathon™ Warranty. So, if you require a hydraulic pressure amplifier or air pressure multiplier that is guaranteed to last throughout many light and heavy duty applications, these are the ones to choose. To find out more about any hydraulic intensifier for sale here at SGS Engineering get in touch with us today. Call our prices and technical hotline on 01332 576 850 to get quotes and to ask any questions you have about a pressure intensifier, hydraulic intensifier pump or any other such tool, accessory or part available.